Have a little fun with your team with this Arkansas Razorbacks Checkers Game. This Game features a team spin on the classic game! 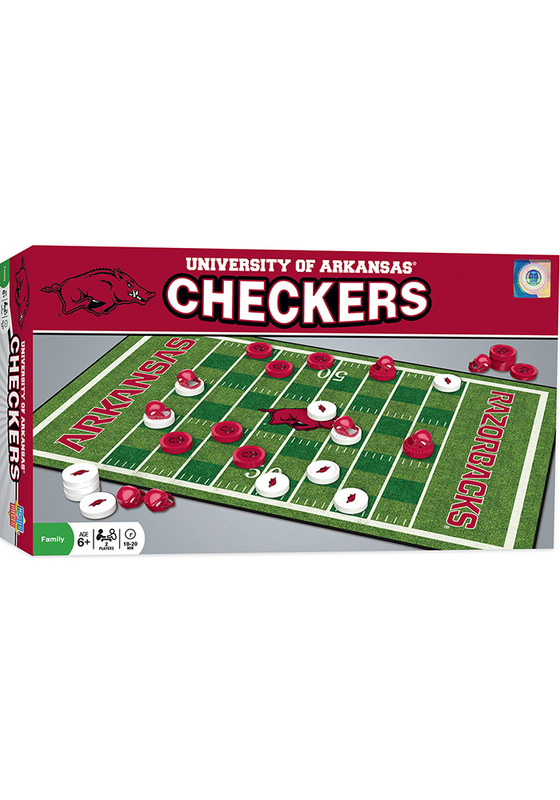 Includes 24 checkers pieces, 8 king pieces, 1 sticker sheet and instructions for hours of Razorbacks fun.